Today while walking with the kids to deliver a new batch of prints to the post office, Angela found one of the strangest leaves I've ever seen. It looked almost as though it had been tie-dyed. 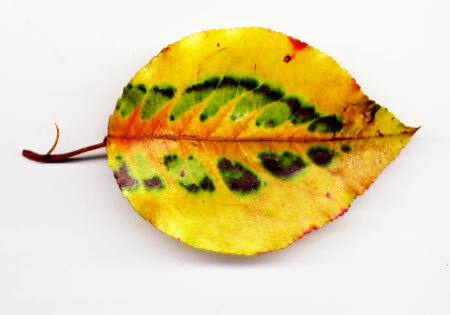 The only explanation that I can think of is that another leaf laid directly on top of it while it changed color and blocked the sun in parts, or that it underwent some sort of trauma to make it change its color so dramatically. Which makes me wonder about the times when I've been blocked from the sun, and the sorts of patterns it's created in me. I'd like to think that in the times that I felt the most cut off and alone, I was working inwardly on something beautiful to show when the time was right.